An Amazingly fresh "Fusion" Restaurant. I love this place. I wished there was one in Ottawa. 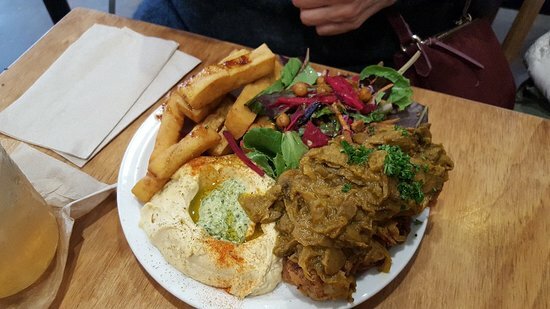 Vegan yumminess with a middle-eastern/bohemian spin. Absolutely wonderful. And I'm by no means a vegan. For me, good food, is good food. No labels needed! 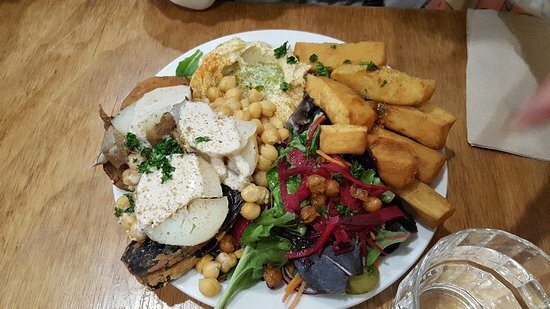 We had a wonderful lunch at chick pea : amazing plates with roasted cauliflower, with addition of hummus or salad- the falafel were excellent tol- the sweet potato fries were great- We wiah we could have such a restaurant in our home city ! The food was really delicious and I love that it's a plant-based focus. The only thing I wasn't very fond of were the chickpea fries. I would definitely go back. If you're going to eat here, plan ahead, perhaps make a reservation. It's often busy. Wonderful organic hummus and Pita for a late afternoon snack in a friendly relaxed space. Great place to meet and talk. This is the best new restaurant in Vancouver! Get quick answers from I Love Chick Pea staff and past visitors.